Just enjoying taking pictures and playing in Photoshop. I'm just applying some simple enhancements and have access to some more quality lighting where I work. Unfortunately I don't really have access to an amazing camera, but it gets the job done for an amateur. I've also got a bunch posted to my Tumblr page that aren't here. 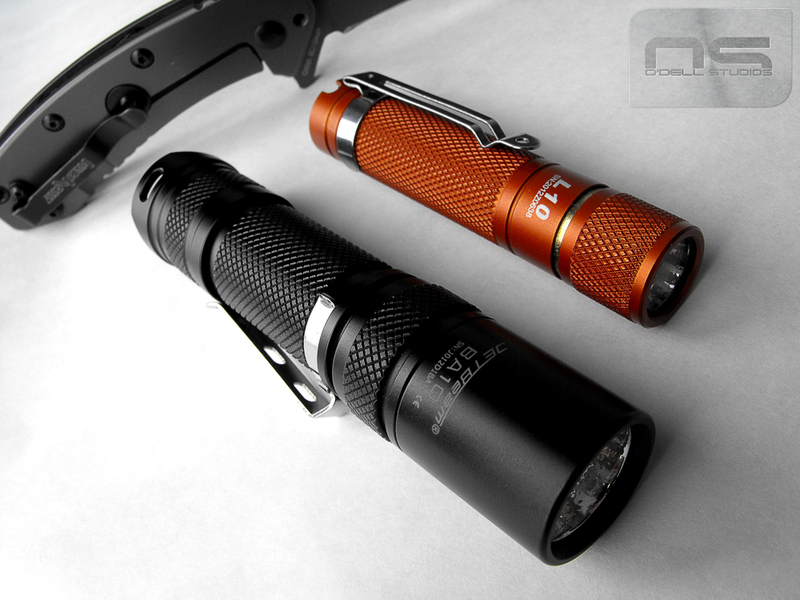 The L3 Illumination L10 on the left in orange and Jetbeam BA10 on the right with my Kershaw Cryo in the background. 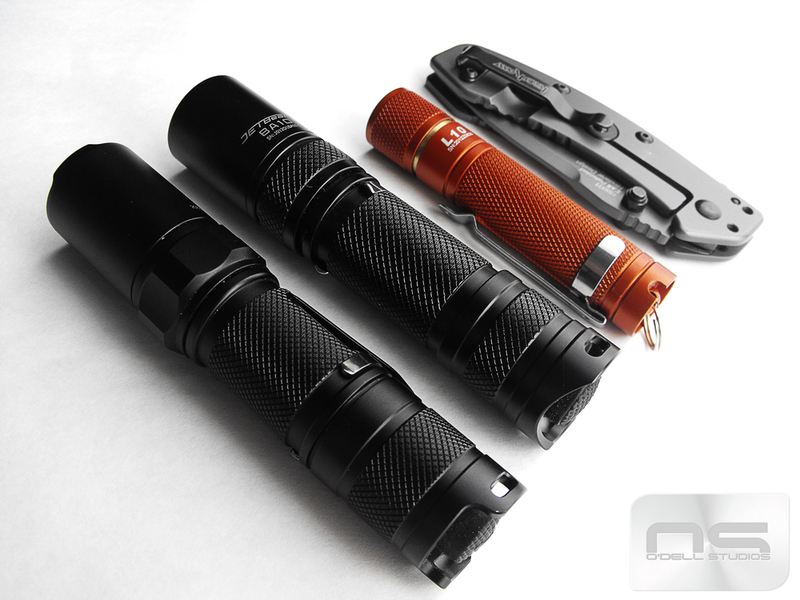 These are both 1xAA lights but until I can mod the BA10 to accept the pocket clip the other way around I'm not carrying it much. I tried Bezel up but can't stand it. 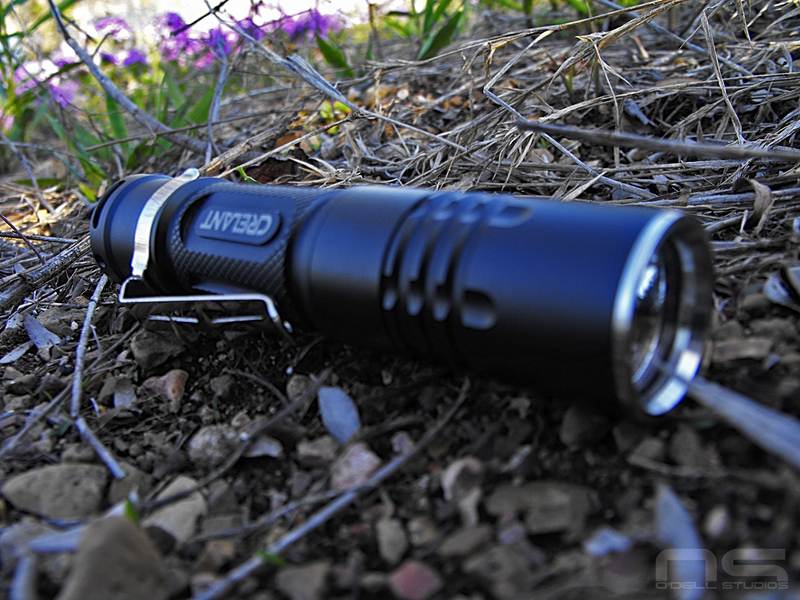 The L10 is a nice little light. Comes in fun colors and is dead simple to use with a nice low mode. 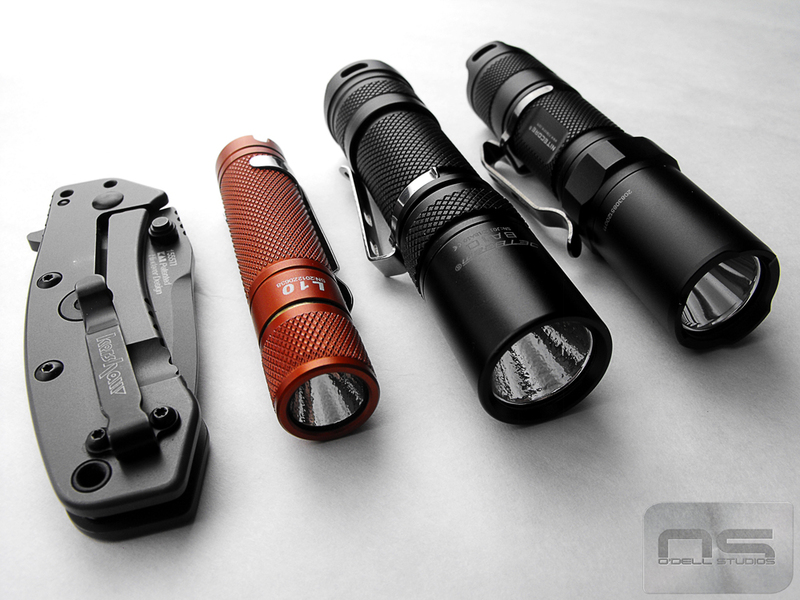 The Nitecore MT1A on the far right. So I got with the times and started a Tumblr account; not with any real plan in mind for it, but started just the same. While I was at it I posted a few images that I had stored but hadn't posted anywhere yet. 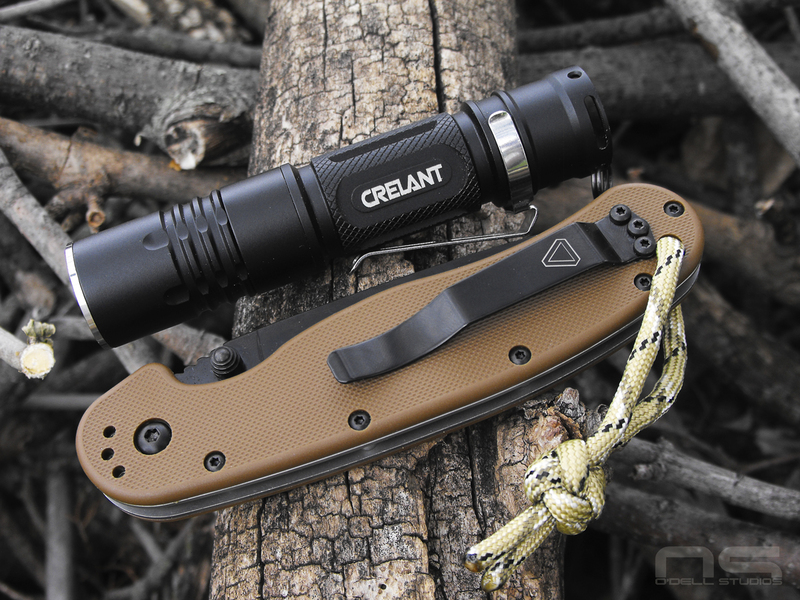 It is still too early to give a durability review of the Crelant V11A but I am really starting to like it more and more and since I had the pics, I might as well get a post going here too. And if I'm going to do that I might as well give you some of my thoughts after a few weeks of use. Pretty nice packaging .... if you care. 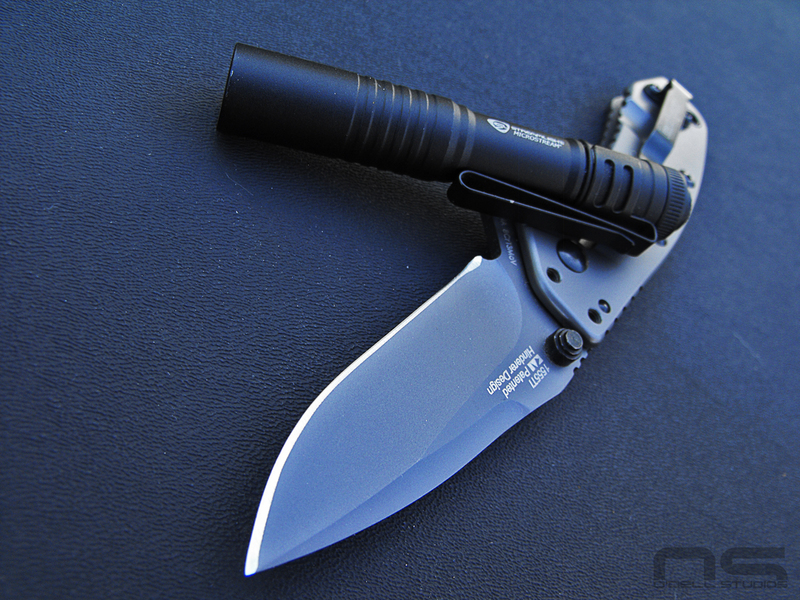 :) One of those things that's growing on me is the placement of the pocket clip. 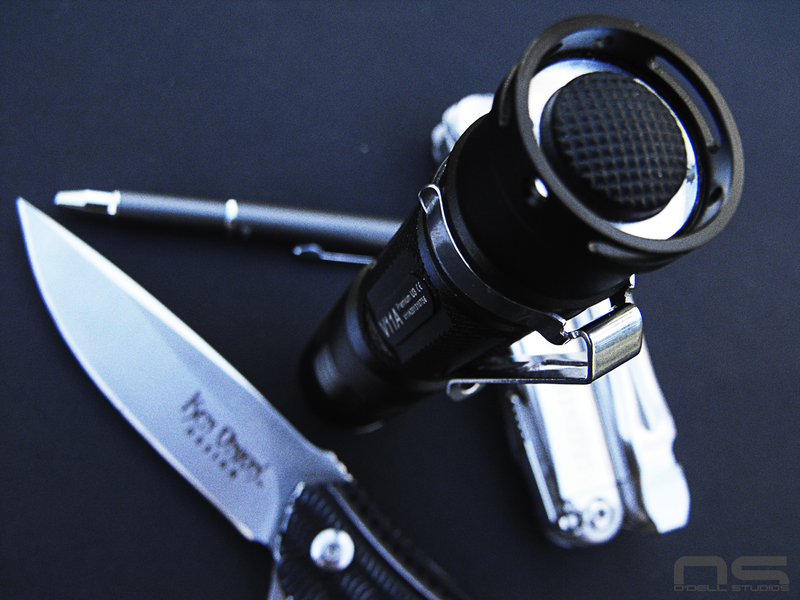 I have acquired a couple other lights that just don't hit this point right and I can't see how hard it is to get the pocket clip right if you're going to design a light specifically to have one. 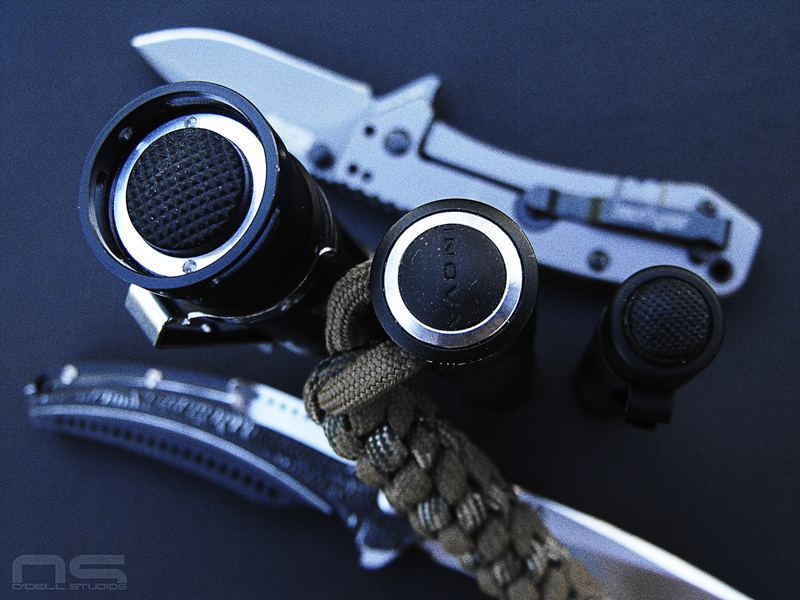 Just the right amount of the tail cap protrudes from the pocket and the clip doesn't interfere with anything (unlike some lights *cough* NITECORE MT1A *cough*). The V11A comes with some extra goodies, including a pretty nice lanyard that I probably won't use. I am going to try to find a reason to though. I mean just look at all those knobs and beads and cord locks and clips attached to it. It must have taken 10 minutes just to assemble it. How could I not use it? I don't get into lumens and watts and current draw and whatever else too heavily. 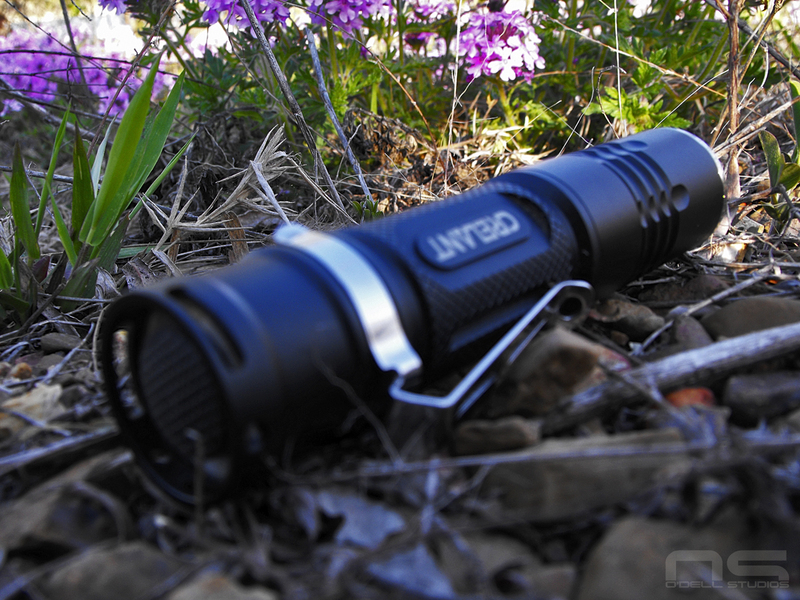 Does it produce a useful amount of light and not annihilate batteries in the process? Yes! OK, it's good to go then. 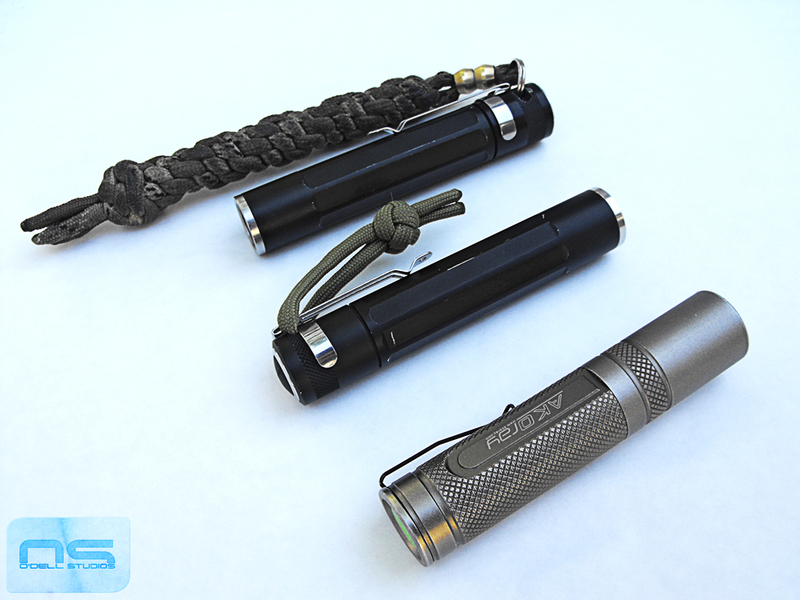 It's a little bit floody and that is appropriate for a "tactical" light. But, it throws just about as far as I ever use a light for so that goes in the win column. 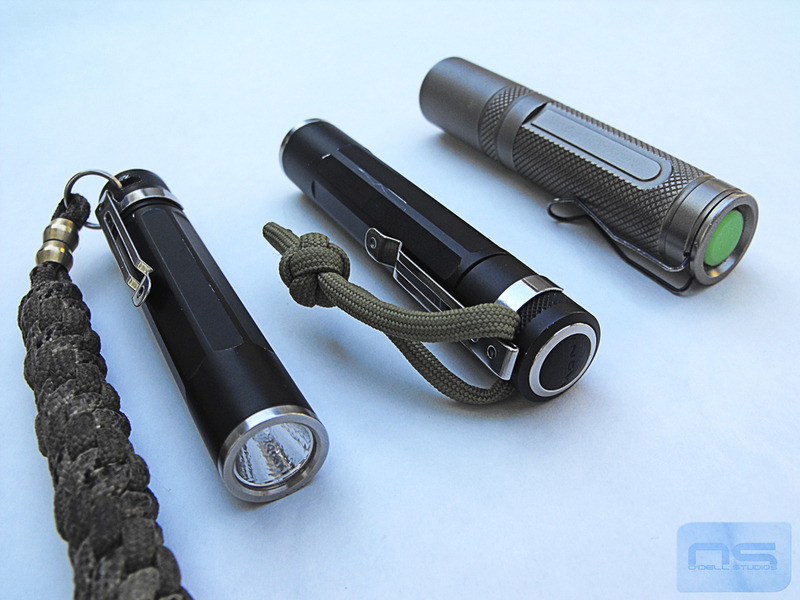 It's a relatively large light for a 1xAA but because of the correctly placed pocket clip it goes unnoticed. 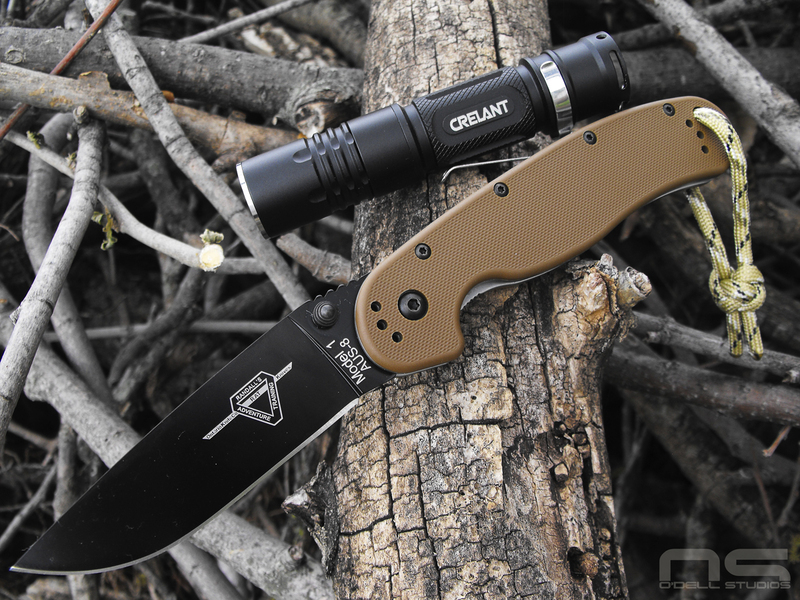 Big light, big knife. I guess you could call this the larger end of the EDC spectrum for pocket carry. But they're a good looking pair all the same. The end of that stick on the left side of the image bugs the crap outta me. Just sayin. I believe the bit will appear in the next month or two on news stands in the #9 issue for the year. 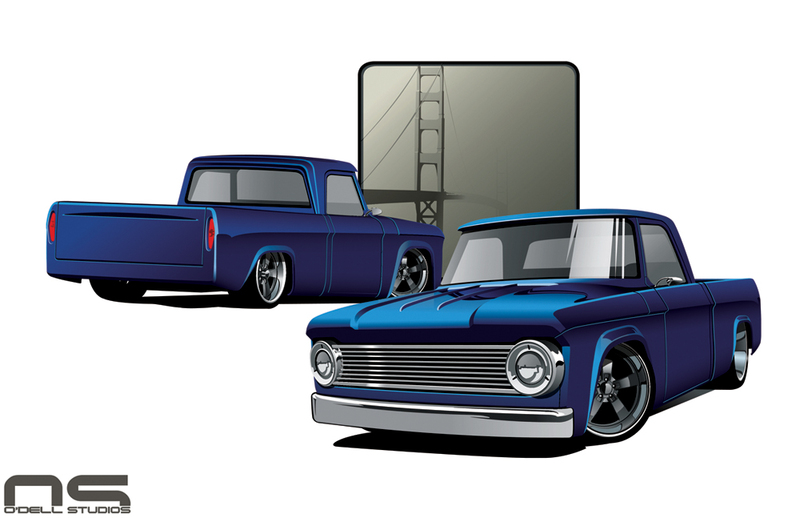 I'm very excited to see where this road will lead us and a big thanks goes out to the folks at Truckin' Magazine for contacting me and giving me this opportunity. 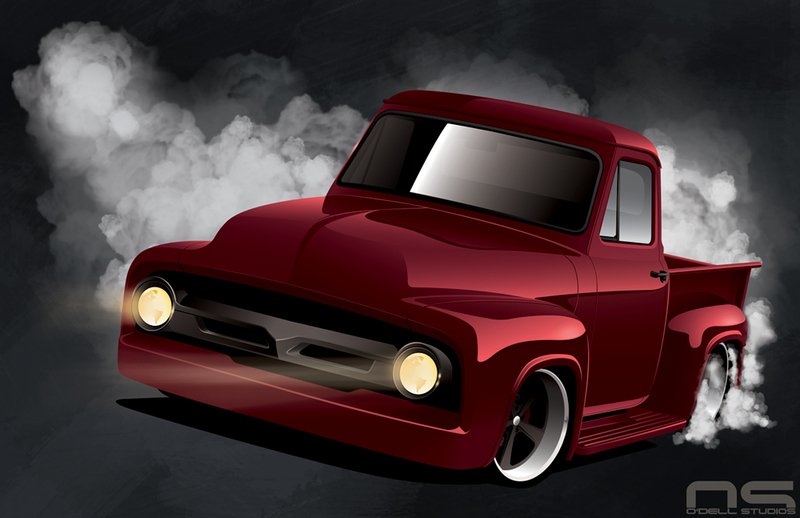 Dodge D100. The mods for this one are very subtle but also numerous. What can I say, I had a wild hair when this beast came together. 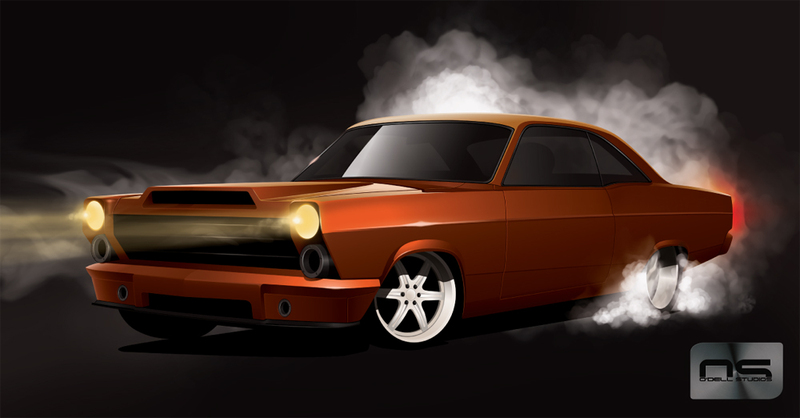 Doing the burnout effect is simple, fun and adds a good dose of life to the vehicle. 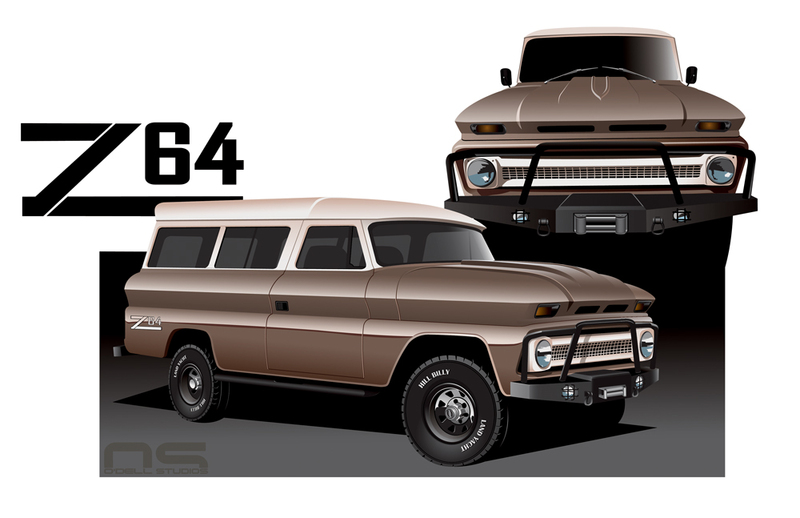 The 64 is derived from the year of course. 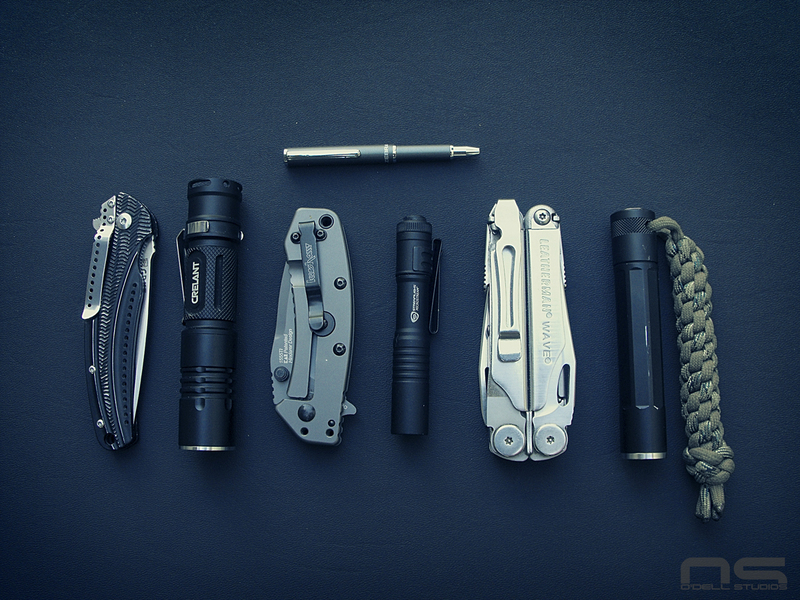 I submitted my EDC to everydaycarryblog.com a while back and had totally forgotten about it until I noticed traffic coming from them. It turns out they accepted my picture. I felt a little concerned that I may have lowered the bar over there and decided to get some new pictures put together. 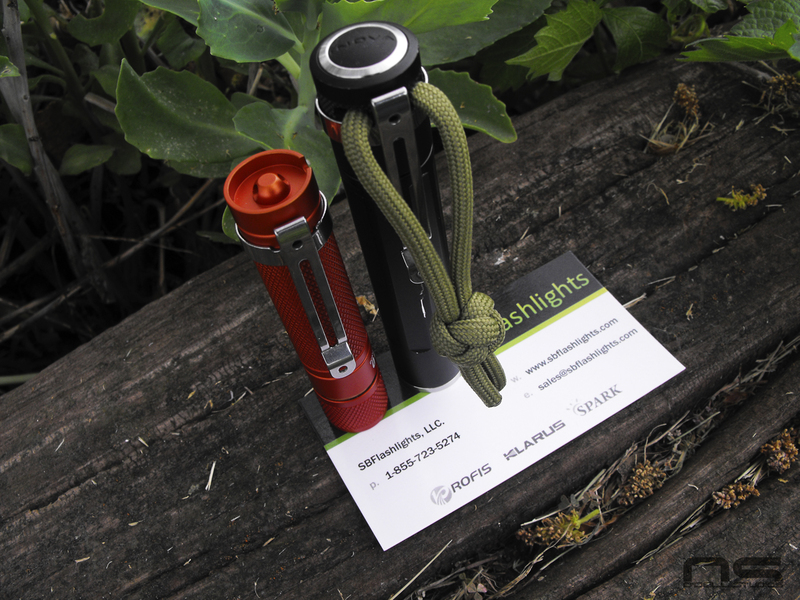 This is really a combo post including images from a recent hiking trip where the photo opportunities are always more unique than my back yard, budget flashlights that have been working well, and my growing rotation of EDC tools. Let's change up the format a little and you can just sit back and enjoy the pictures with less reading. 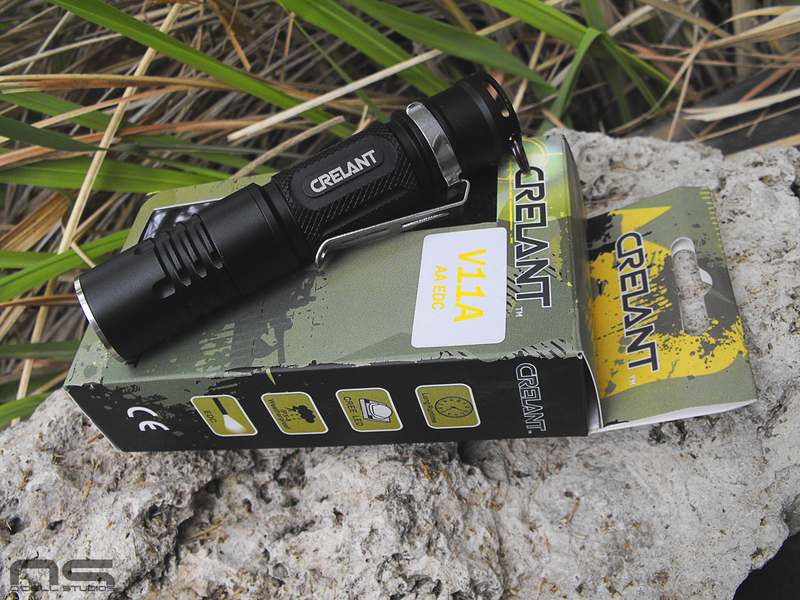 This is the Crelant V11A 1xAA producing a claimed 450 Lumens. It's large for a single AA light with 3 modes, recessed forward clicky, and it remembers the last mode you used. Time will tell how it stands up to abuse but if you want a little more hand filling light with a more tactical interface then I really think this is an almost perfect light. 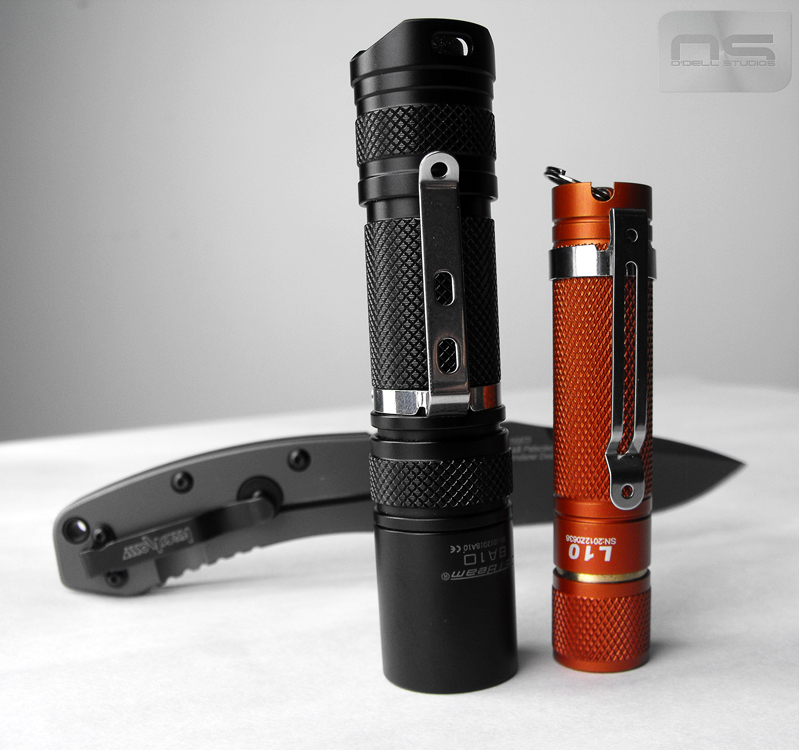 If it is durable then it is also a great value @ $35.00 from sbflashlights.com (great place). The scenery is provided by the state of Kansas and Melvern lake which offers lots of water and plenty of easy going trails. The stripe in the grain of this fallen tree was too good to pass up. 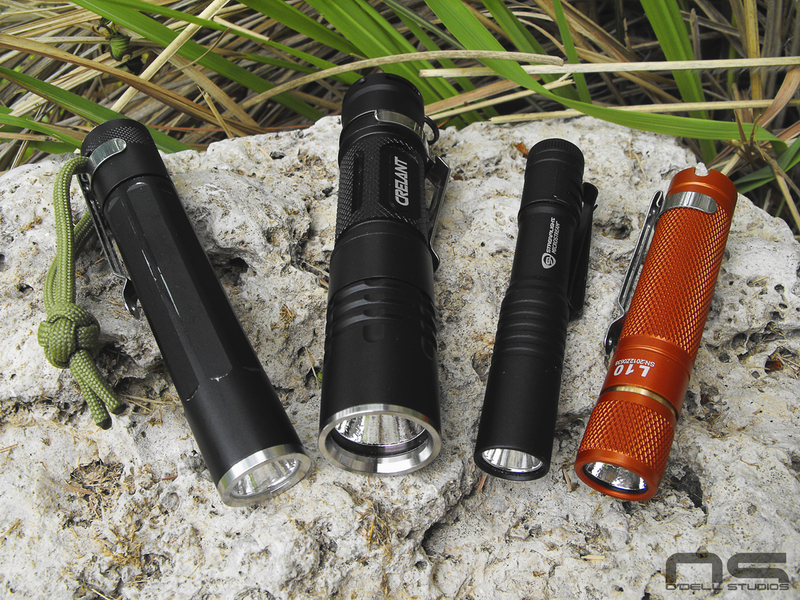 I feel confident recommending both the Inova X1 (far right) and the Streamlight Microstream (center) and this gives you a feel of their respective size. The Microstream is 1xAAA and very small. The button is excellent in that it is stiff. It is very simple to use it in a momentary on mode without fear of accidentally clicking into constant on because it takes a concerted effort to get there. Simple, no modes, everyday tasks amount of light, virtually zero footprint. 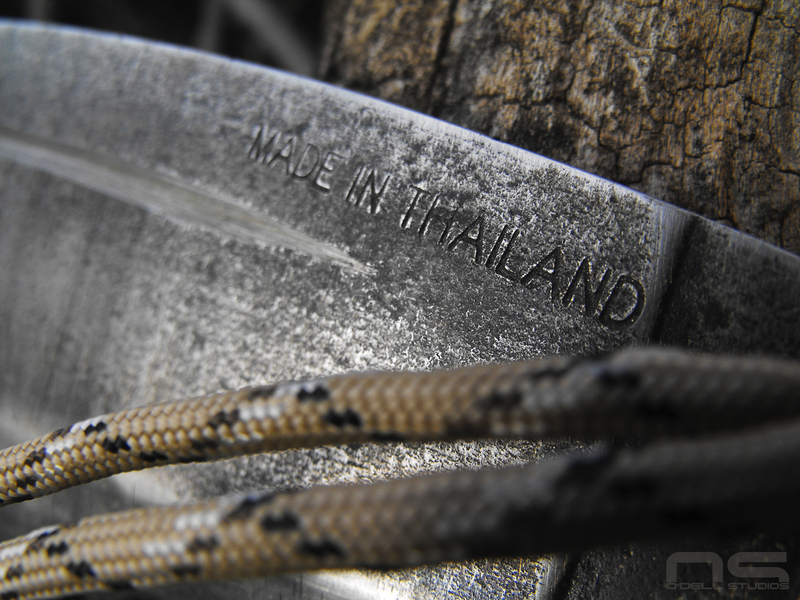 Details of the V11A from Crelant. Another size comparison. The V11A is about as big as I would want to carry every day, though it doesn't weigh much. 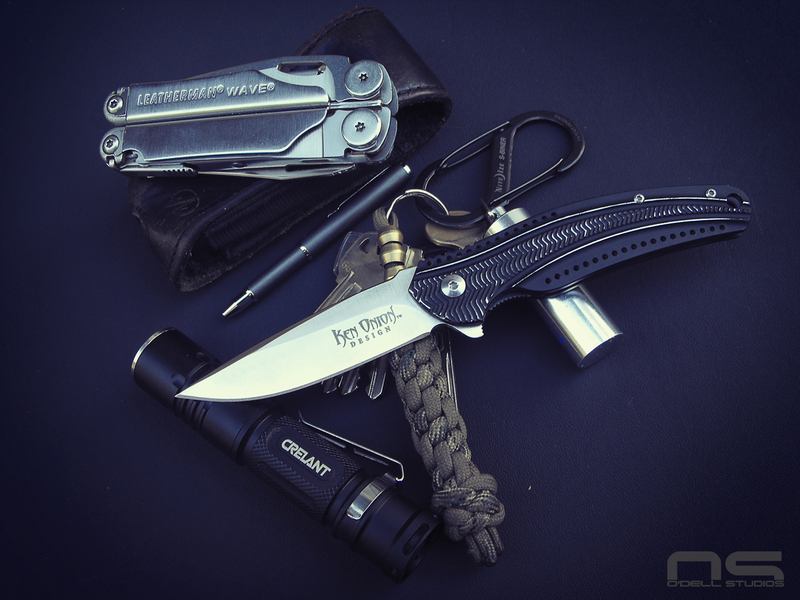 A little EDC pocket dump with the Aluminum CRKT Ripple. 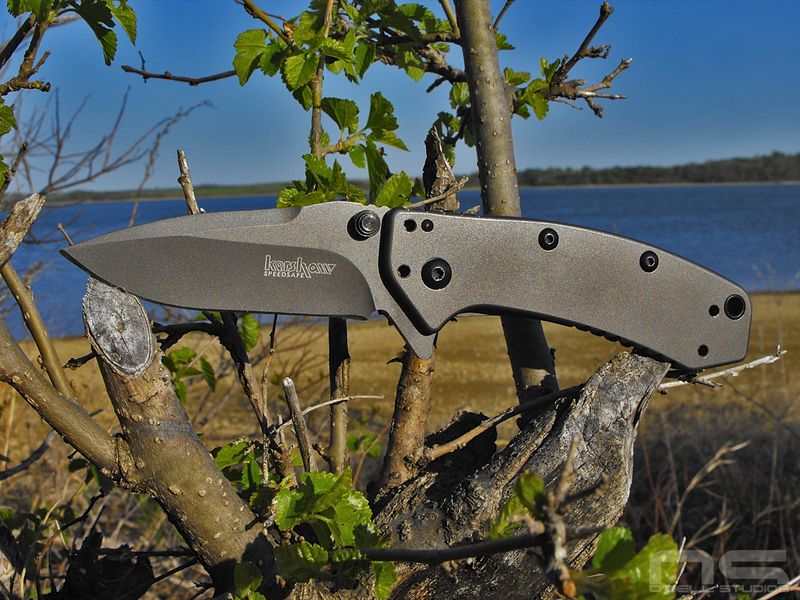 The Kershaw Cryo out to the lake. For anyone concerned, this plant was in this condition when I got there. 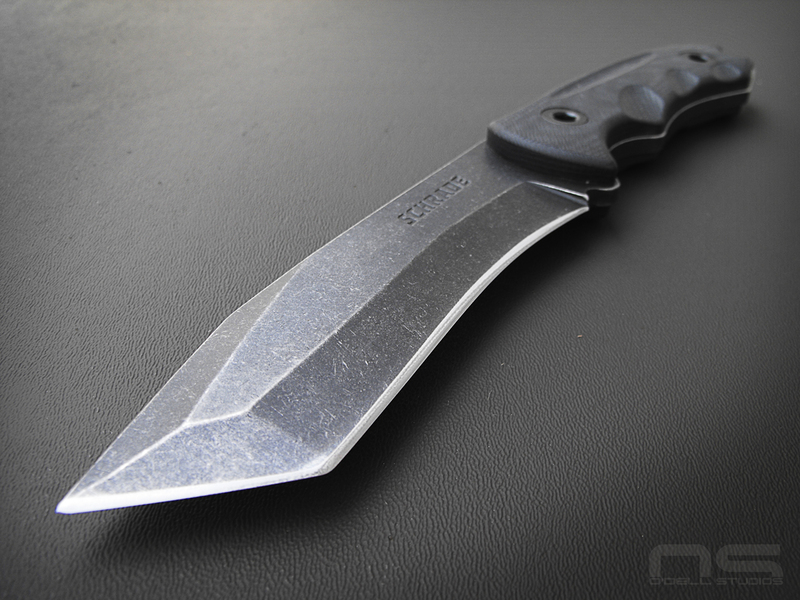 The Cryo is an all steel knife the way I understand and it has some heft to it as medium sized folders go, but I like it, a lot. I really like the black on grey details of the Cryo. It's also compact and thin. 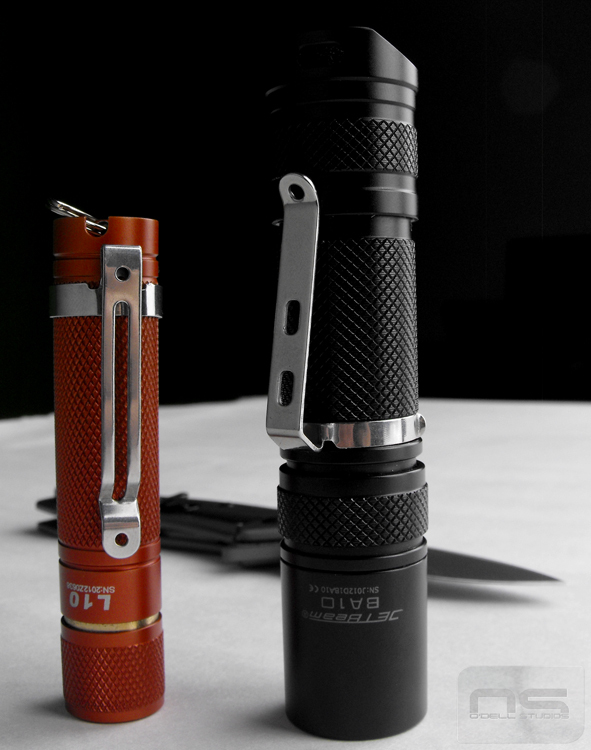 EDC mates, though knives ride on the right side, lights on the left, so they don't get this close very often. They do make a good looking pair though. 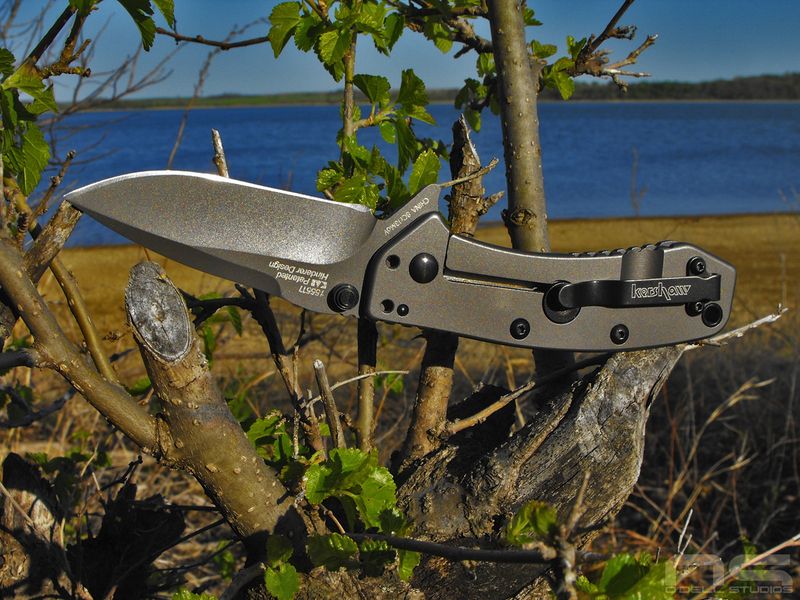 Check the very cool clip on the Microstream. It goes right onto a hat brim. For about $20, if you like the idea of having lots of capabilities in a tiny package, this is the one for you. It's like carrying nothing. The Microstream in the center is a touch yellow in tint, but nothing that annoys me. I don't know what mode the Crelant V11A was in but it's clearly producing more light than the other two. 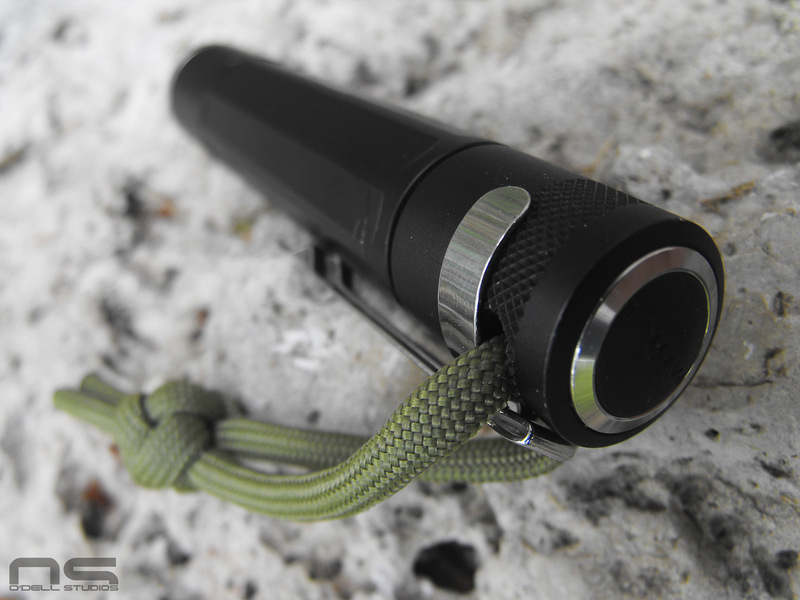 The Inova X1 has 2 modes and I personally feel it makes exactly the kind of light an EDC torch should make. 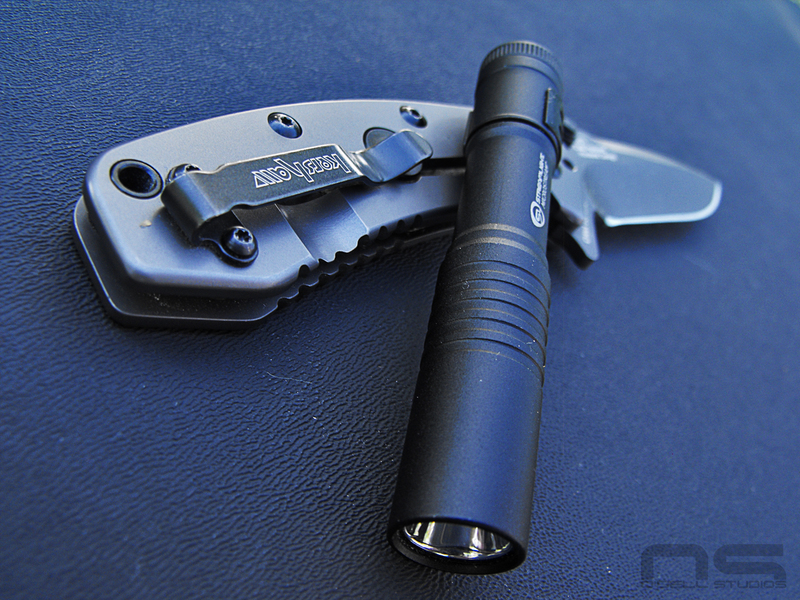 If it had a pocket clip (and a track machined for one) it would be very close to the perfect light. It's thin, not very long, simple and very well made. These 3 lights represent a sort of budget light spectrum, mainly because of their size. 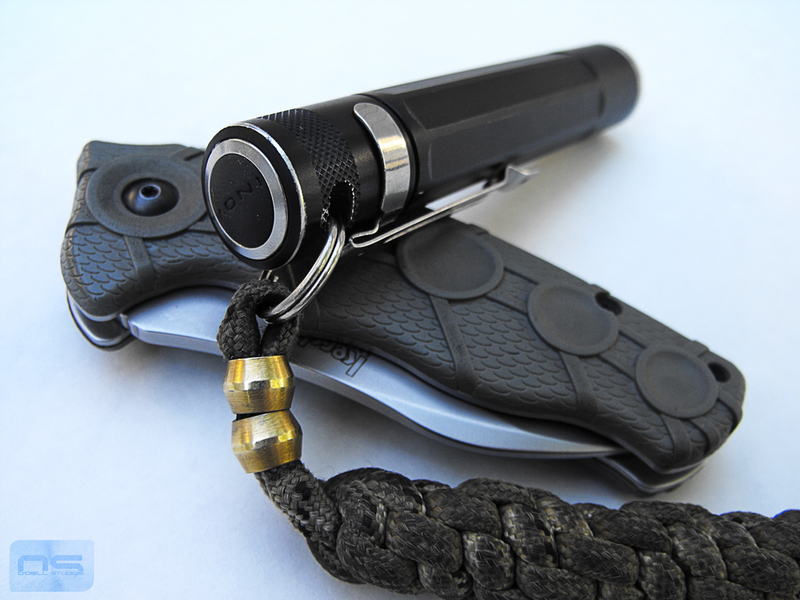 The Inova X1 has a single flaw that prevents it from being an EDC powerhouse and that is the lack of pocket clip. 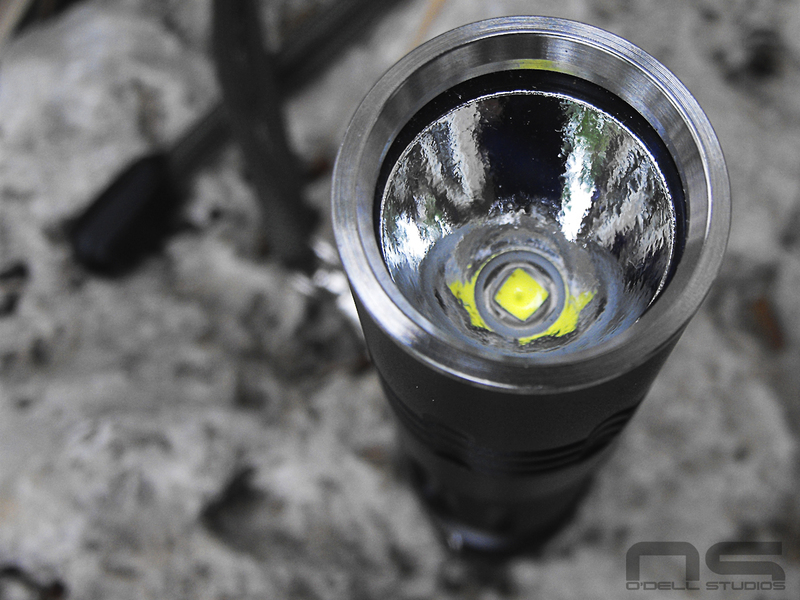 When I look for lights now, the lack of a pocket clip is a deal breaker, but doubly so on the X1. The reason is that it is a twist light, but has a sort of momentary on feature where you can press the tail cap so long as you have it screwed on far enough. I think this is considered a bomb-proof interface and it's proven to be. However, if you stick it in your pocket, you have to back the tail cap out (lock out), so you don't discover the light has been on and now has no juice. A pocket clip would solve this problem by preventing the light from rattling around in your pocket and ending up held on. So essentially the momentary on feature is defeated by the fact that if you kept it in such a position to use it, you run the risk of keeping the inside of your pocket well lit throughout the day. 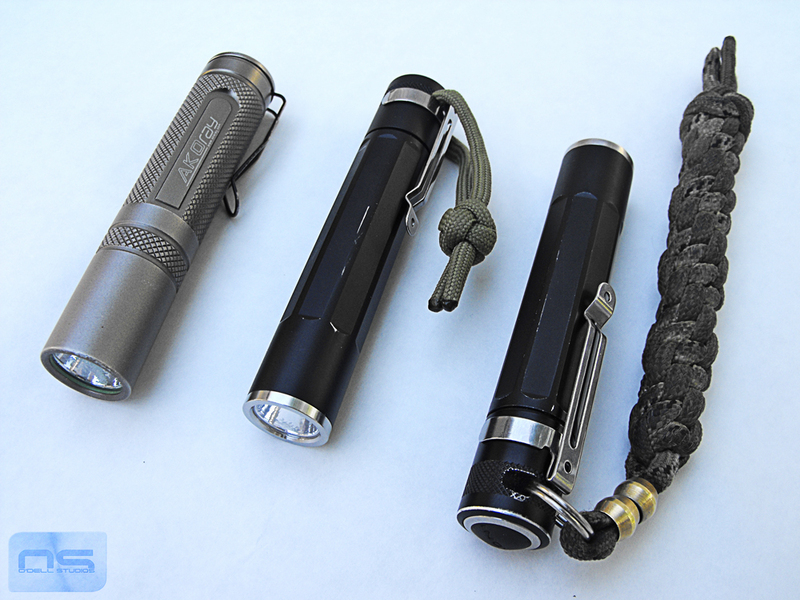 That means the light basically works like a Maglite - twist on, twist off. If that doesn't bother you (and it really isn't a big issue) then this is a tough, simple light that just plain works and has no nonsense. 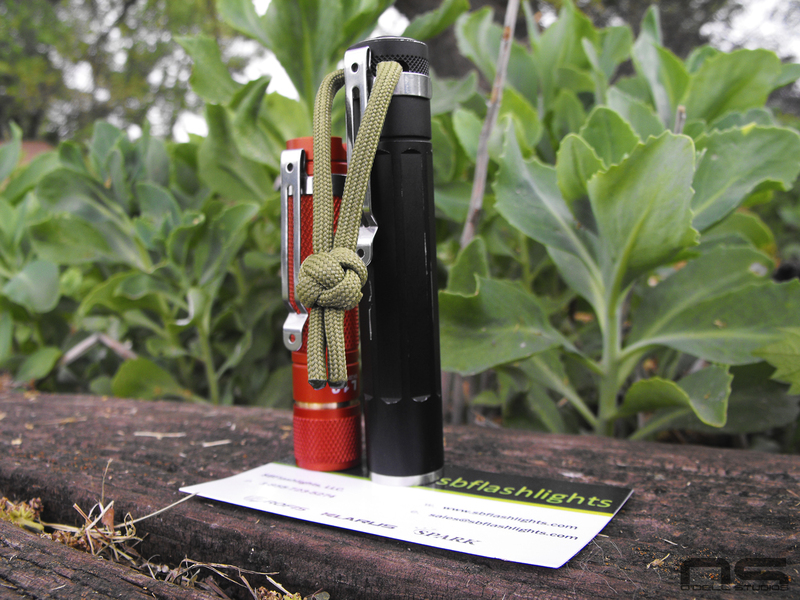 The two modes are useful and you can get around the pocket clip with a lanyard as I've done with mine. 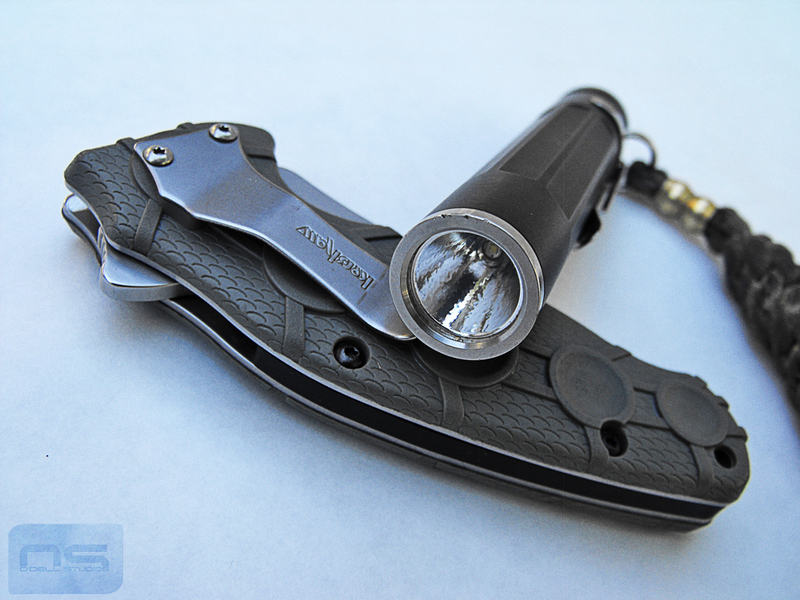 The lanyard hangs out of the pocket, holding the light at the ready. 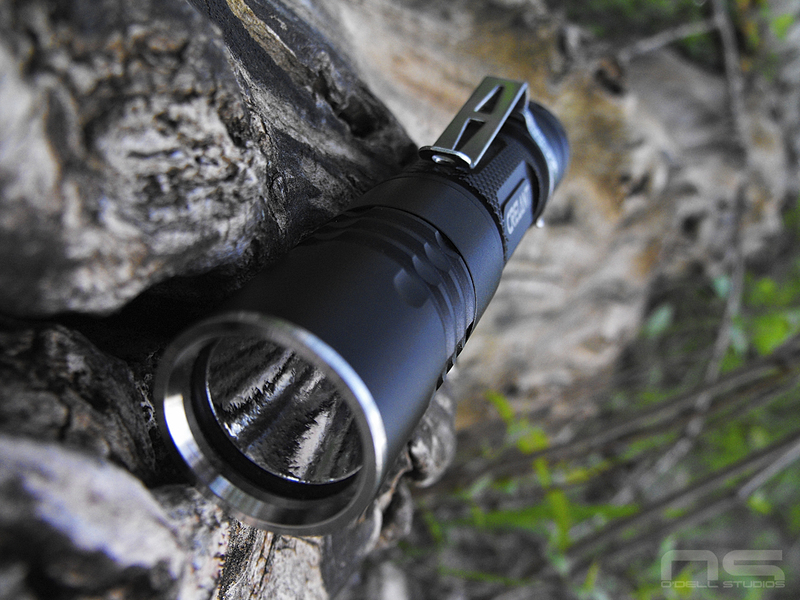 The Microstream is the ultralight option if you never want to notice the light is there. It also gives its user a lot of features and nothing you don't need. The battery lasts for approximately ever and it's the least expensive of the bunch. 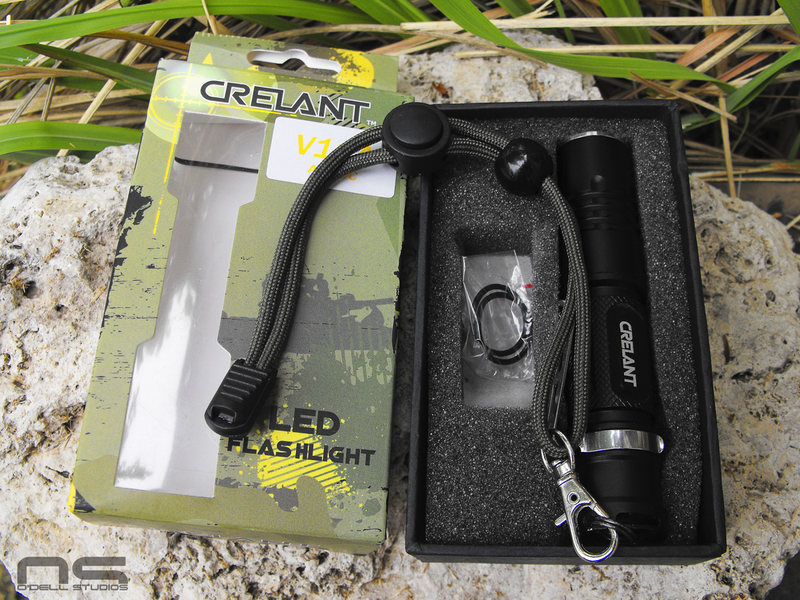 I got the Crelant V11A because I liked the idea of having a little more light in my hand. I think it's right at max for pocket carry for me personally, but exactly what I was looking for. 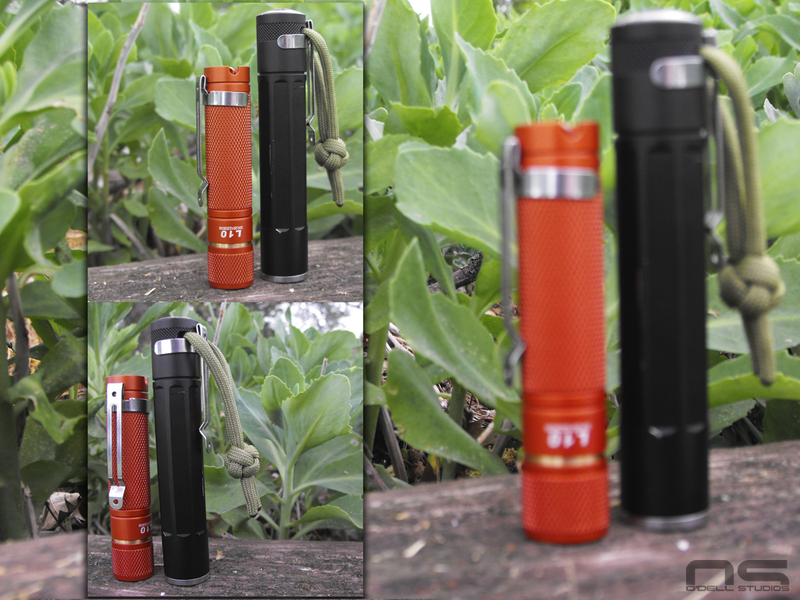 It gives you more power without getting into something exotic, but has a nice low mode to conserve fuel while making plenty of light for everyday tasks. 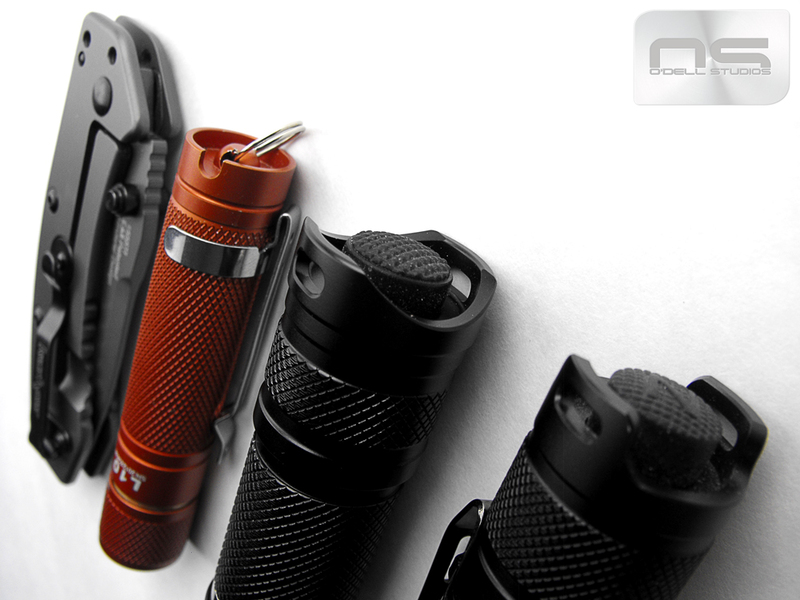 It's got the pocket clip, no pointless modes, a dead simple interface and seems to have the quality. I only recently got it, so durability is still unknown. If it proves to be tough, then even though it is the most expensive of the bunch, it is also the most light for the money and still comes in at a price that falls into the budget category. 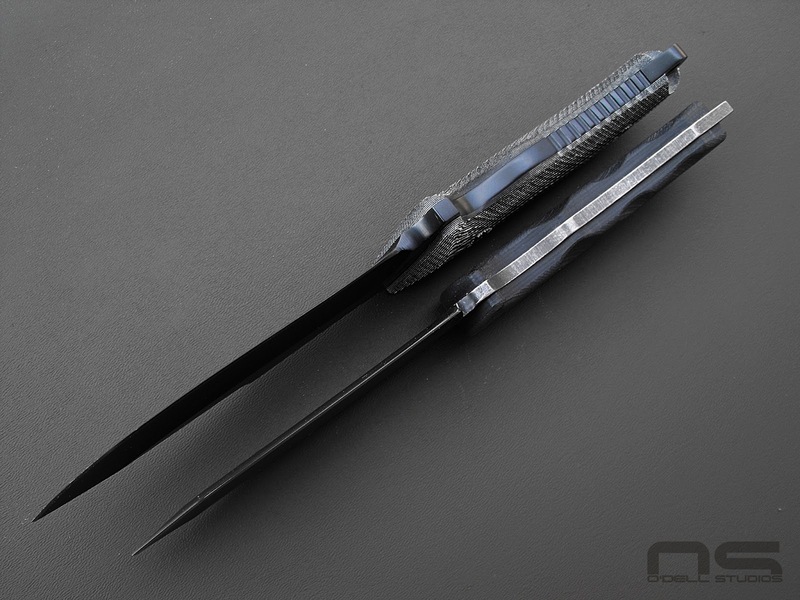 for the Tanto thing. 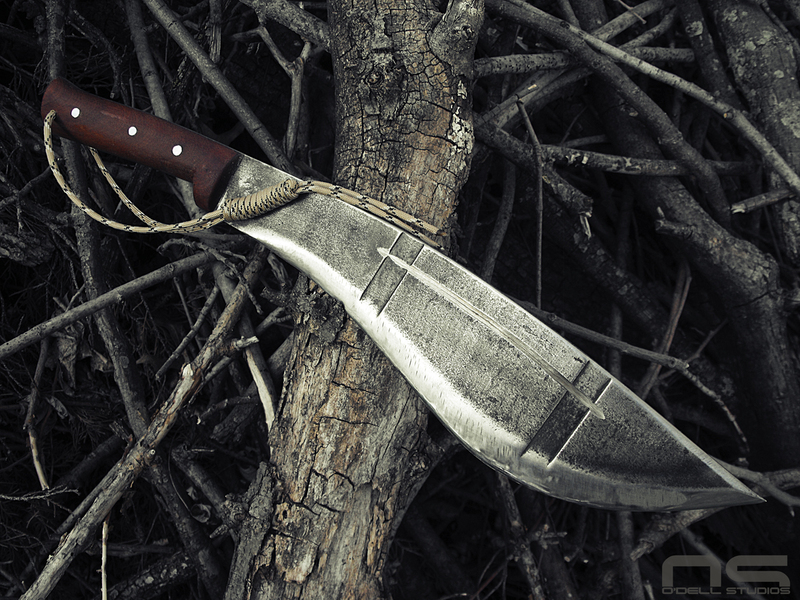 It comes with a thermomold sheath - a huge step in the right direction. 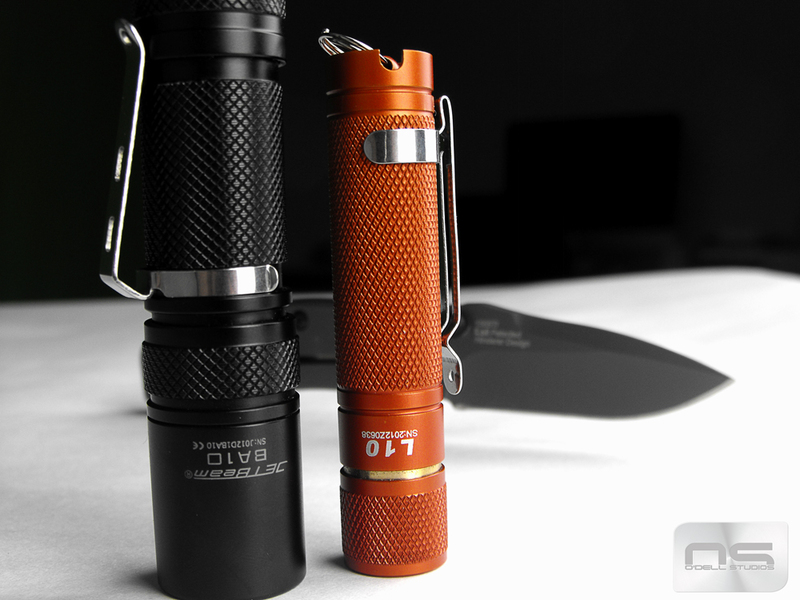 It comes with (edit) G10 scales which is great. The finish is .... maybe cool to some. But none of it is quite right and beyond design problems, there were also functional problems. Let's start with the little stuff. 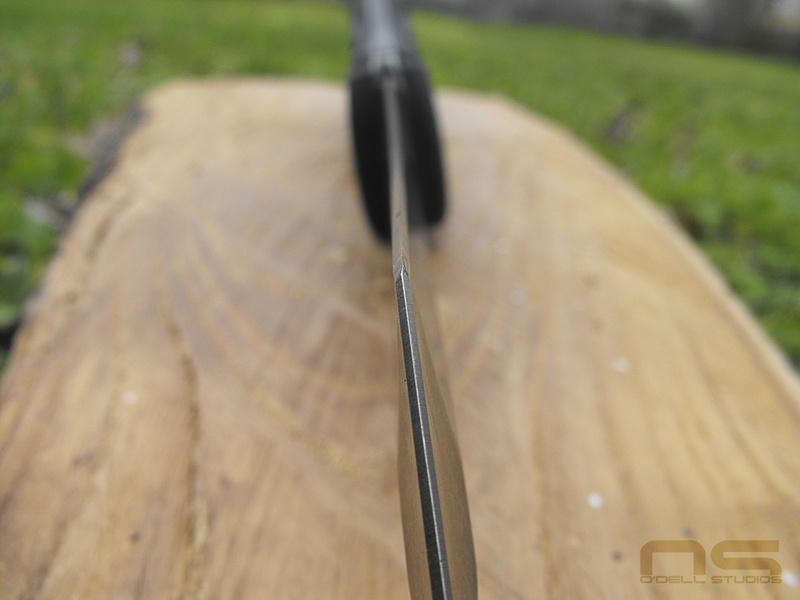 Thinner steel, still 8CR13MOV, and just less of it for the same money as the SCHF 10. Not a big deal. No jimping. 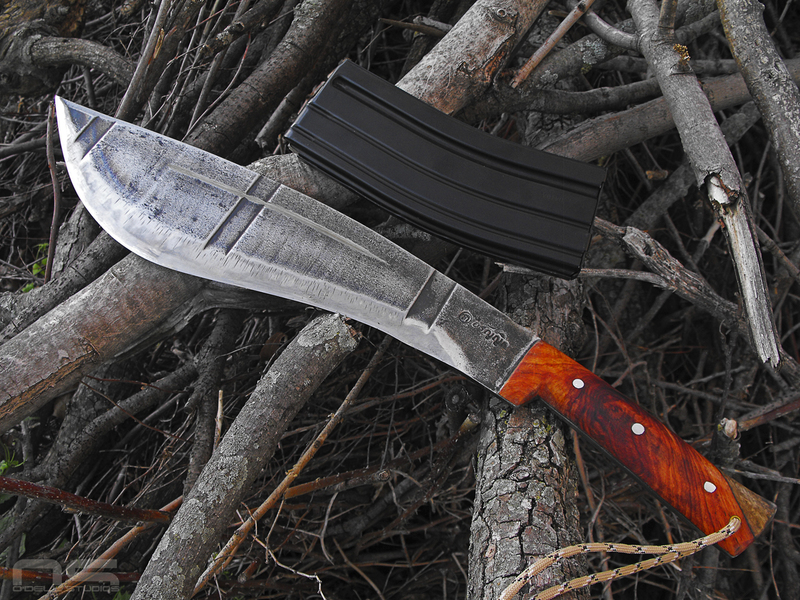 Ok, no big deal, might not be necessary for this style knife. 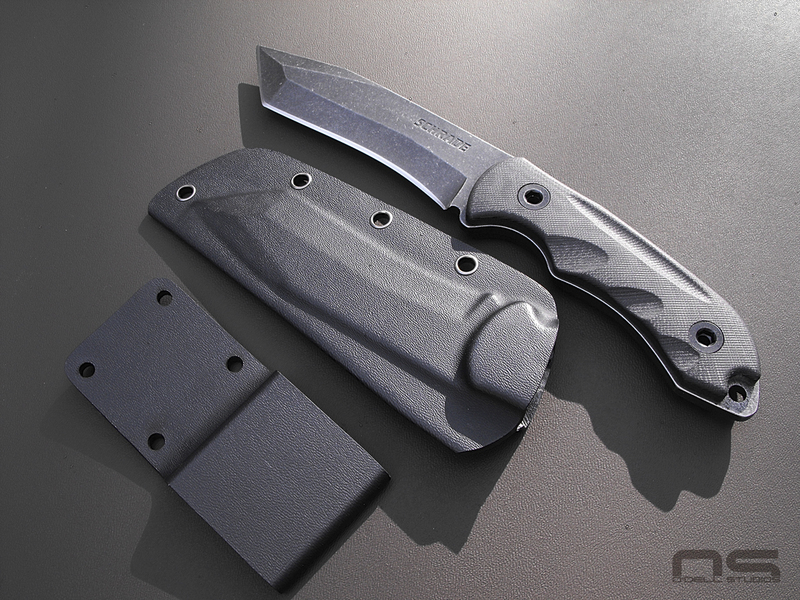 G10 scales, but they aren't cut in such a way as to facilitate the grip they are capable of. 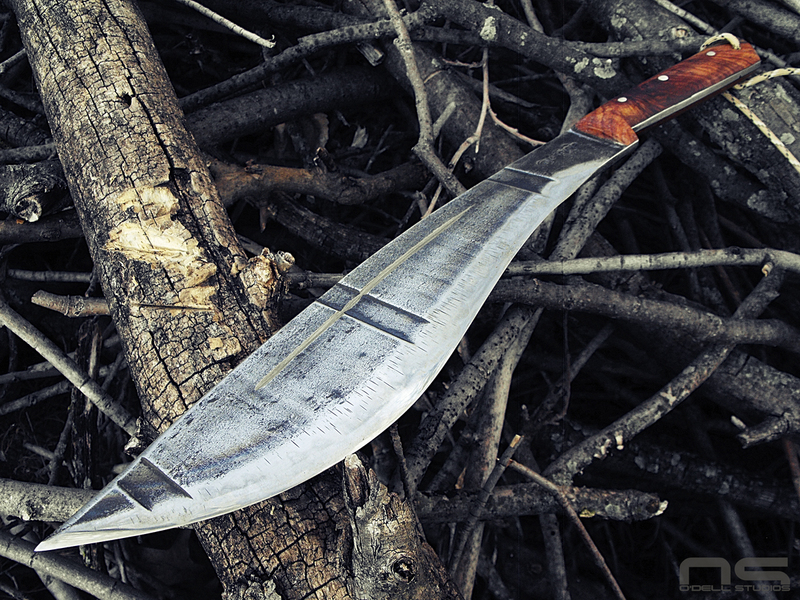 The finish, well for some reason I can see it being cool on certain knives, just not this one. 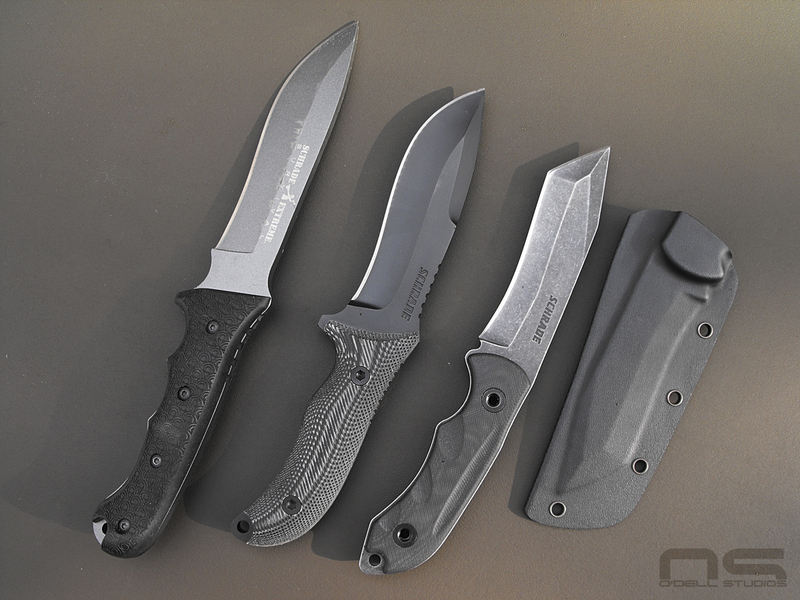 The Tanto blade and clean, sort of boxy cut aren't suited to a purposefully rough finish. 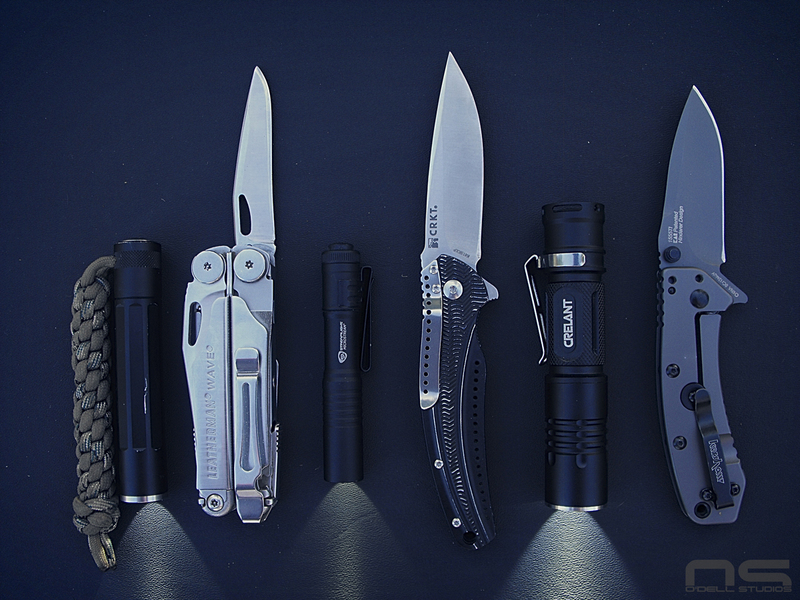 Still, none of these things are major but you begin to get the sense that you got less knife for the same money. on an Instructor's style belt in 1.5 and 1.75 inch widths, so long as you aren't using a Cobra buckle or any other belt with half a buckle on each end. 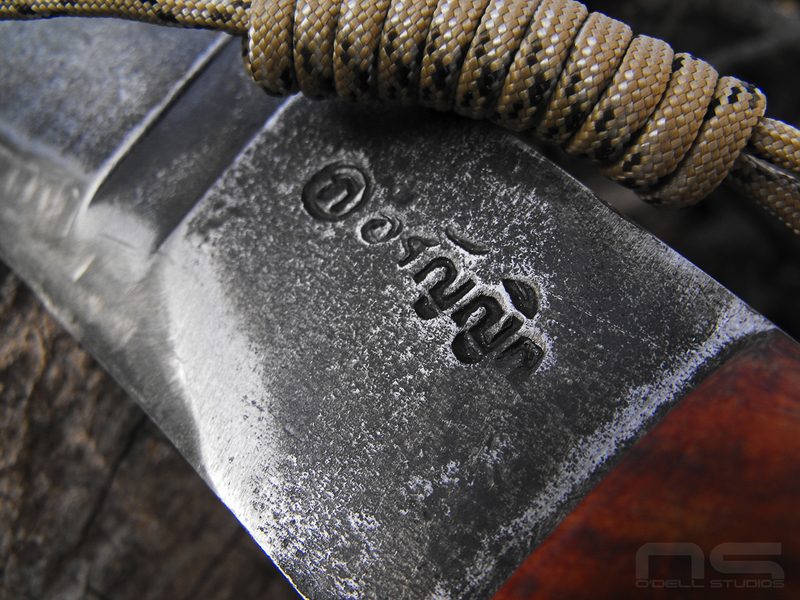 It's a fighting knife for a tactical market but has no MOLLE attachment. If you could mod it for use with webbing it's really only going to get one attachment point which may or may not handle the weight or keep it secure. The grip isn't great. 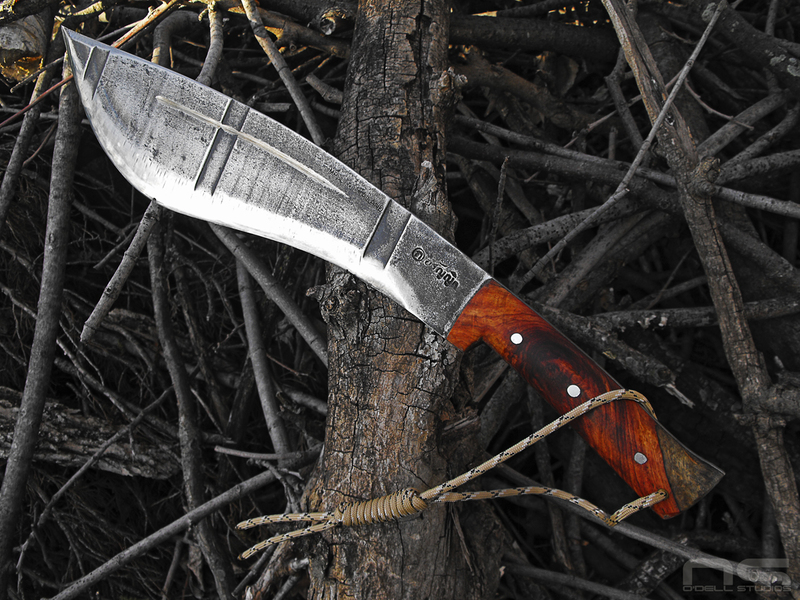 I'm glad that I don't know what plunging a knife into a person is like but I've skinned my share of deer with blood slicked hands and I know that grip is never bad. More importantly, why waste the opportunity of getting it when the G10 scales are already present? The cuts they do have are kinda neat looking but have no purpose and in no way accommodate the human hand. Plus, no jimping. Do I need it? Hell, I dunno. 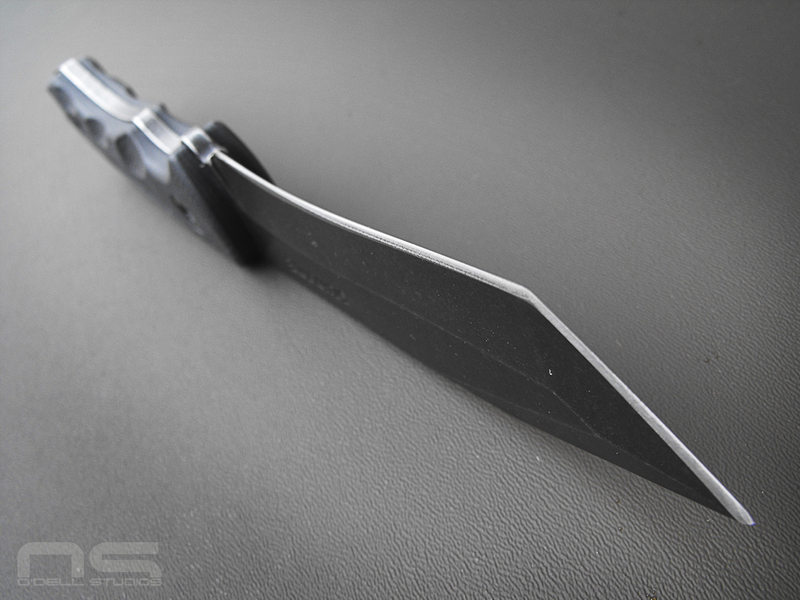 The lack thereof fits the clean minimalist style of the knife but with all the other dings against it, this feels like another one. Look closely at the edge. All other images are post repair. The big killer. The blade grind was God awful and unusable. I don't think I've fully captured it in the image but if you look at it closely you can see how uneven and off-centered it is. It was dull and a knife with no edge is really not a knife at all. All of the other images are after much hand grinding on sand paper and it isn't sharp yet, still in progress, but it wasn't terribly difficult to fix. This suggests quality control issues that are too typical in products like this but in all honestly, doesn't turn me off from the brand. 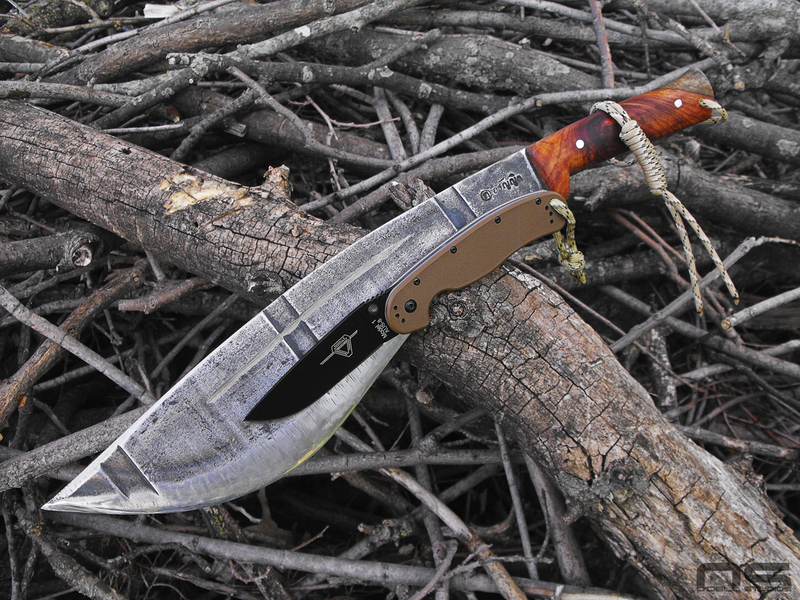 Schrade is trying a lot of different markets and the knives that really interest me have been huge successes. They have lots of products that don't even interest me but as long as they keep hitting home runs with the ones that do, I'll keep watching and buying. 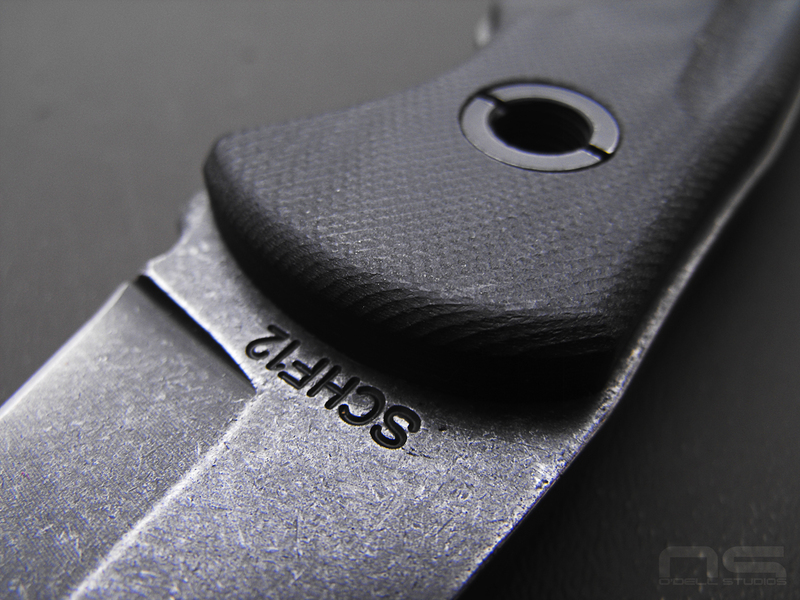 Schrade must always remember though, why the SCHF 9 was such a stellar product and continue to manufacture and design around the lessons learned there. I feel like the SCHF 12 was a departure from the 9's model and I'll go over what changes could have brought it back. 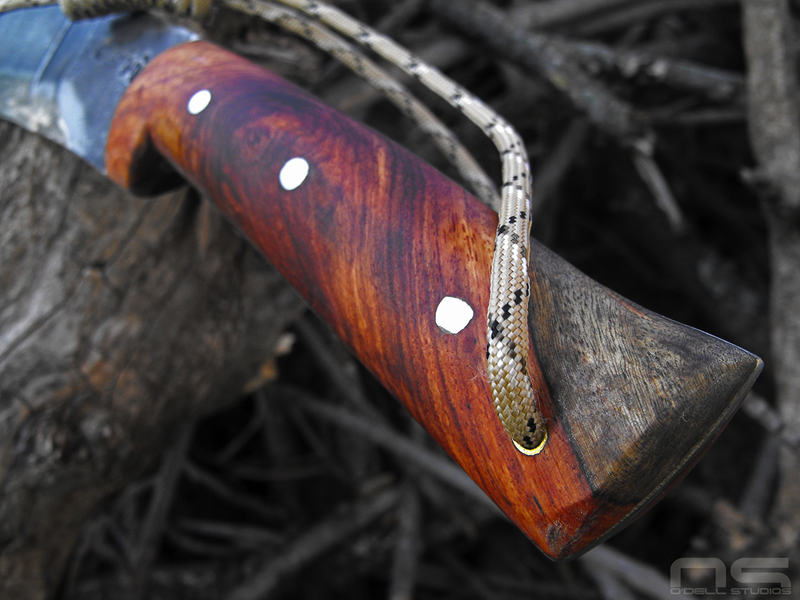 edges the way it's been done for hundreds of years and use a snap/strap for retention. Since the SCHF 12 is really geared for the tactical crowd, it's going to need a dead simple PALS attachment system, probably webbing and a snap. Double the webbing up, do it right, call it a day. 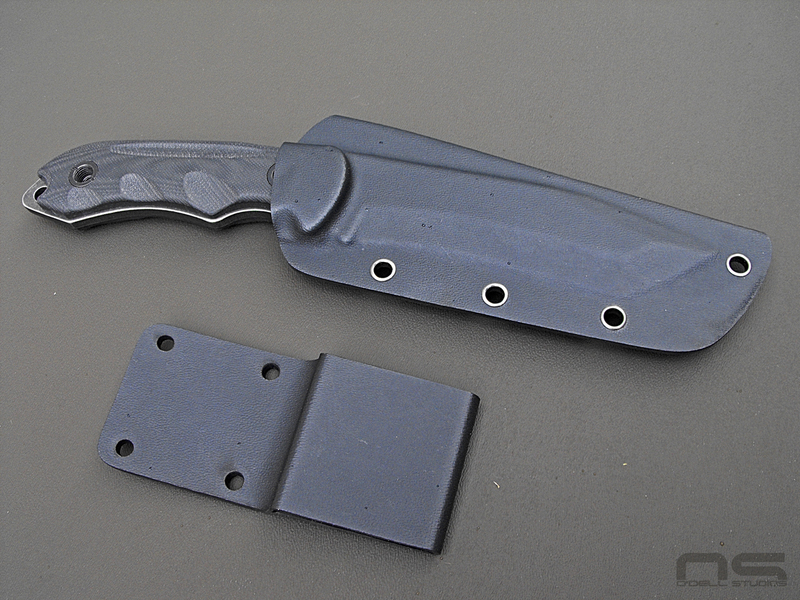 Kydex or thermomold plastic really needs to be done correctly if you're going to do it. 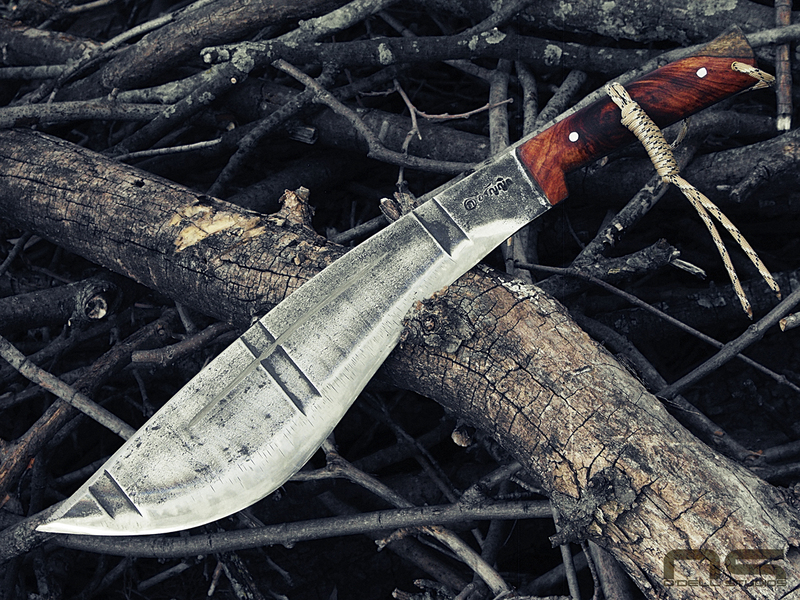 My guess is they mold the sheaths around a handful of knives or models of some kind and then the production knives themselves vary slightly from one to the next resulting in some rattle and slop. 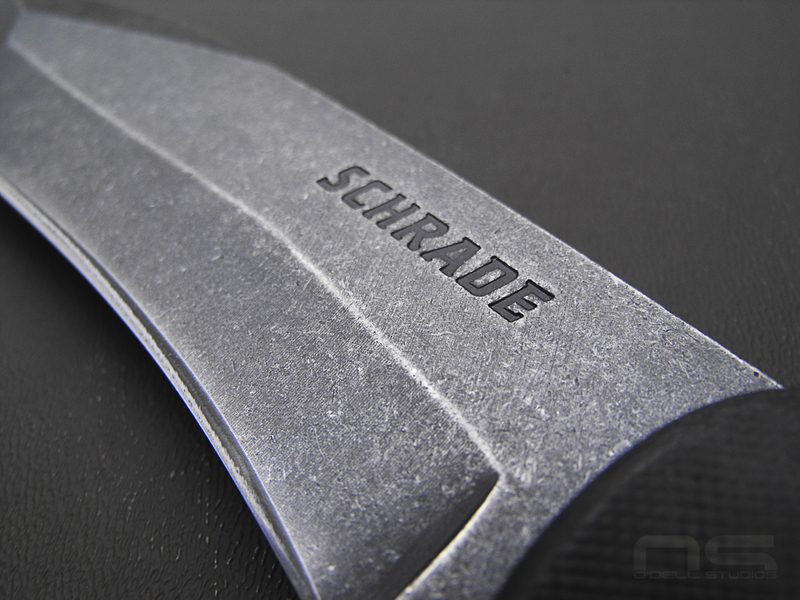 To be clear, the Schrade SCHF 12 is still a good value especially if you are in the market for this type of blade. And to be fair, the sheath is still much better than the alternative and I know for sure that I could use some paracord to securely attach it to MOLLE gear no problem. The retention is actually very good in spite of the loose fit and it is going to hold up far and away better than the nylon counterparts. As for the rest, it can only be seen as a lesser value when compared to its siblings, not necessarily the competition from other companies. When compared to the SCHF 10 it is my sense that I am getting less for the same money, especially when the 10 is so impressive in my view. 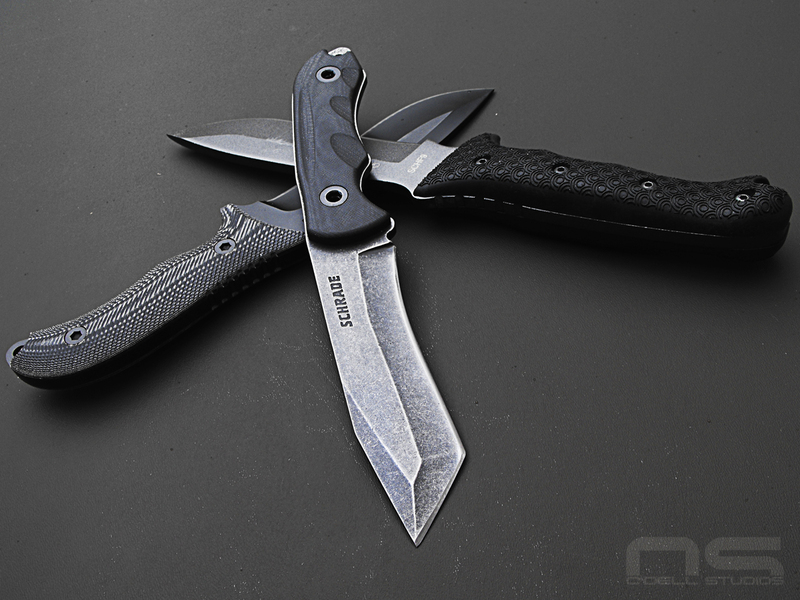 They are completely different blades and fit completely different roles, so the feeling comes from the amount of knife for the money more than how well the knife competes in its market. To that end, it's still a pretty nice product if it's what you're wanting and for the money, you still can't go wrong.